J. Richard Anderson is Professor of Business Administration at Stonehill College and a consultant to numerous small businesses. Before entering academia, he was Chief Financial Officer of Stanmar, Inc, Controller of LT Industries, and a Senior Accountant in the Entrepreneurial Businesses Division of Coopers & Lybrand. He received a B.S. in Mathematics and a B.A. in Economics from Allegheny College, where he was a member of Phi Beta Kappa. He earned an MSA degree from Northeastern University and later did doctoral coursework at Boston University. He holds both CPA and CMA certificates, and won the Massachusetts Gold Medal for first-place results in the uniform CPA examination. 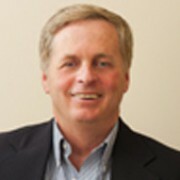 Professor Anderson has written over a dozen case studies used in Corporate Financial Reporting textbooks, and has published articles on the role of CEO's in financial reporting fraud, the accounting problems associated with common stock put options, and the outsourcing of financial services. His case study of the Bradlees Corporation bankruptcy won a Best Educational Paper award at a Northeast Decision Sciences Institute Conference.